Cutting Edge Laser Therapy is the non-surgical option that truly has the power to eliminate or significantly reduce your pain. A few brief treatments with this powerful laser is all it takes to realize life changing results. Here’s how it works. Light energy enters the damaged cells and stimulates inter-cellular activity. 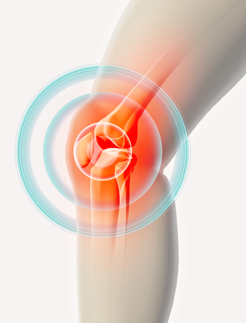 This reduces pain in the area and speeds recovery of the damaged cells. Once the cells recover, the healing process is complete. There is no discomfort during treatment, simply a deep, gentle warmth as your body’s cells respond to the light. There are no known side effects. It is a non-invasive therapy with long lasting results. 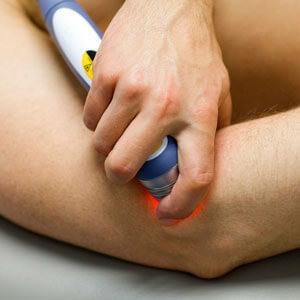 Our practice was among the first in the Central Florida area to invest in Cutting Edge laser therapy technology. Drug free pain relief is the goal for most of us. Now we can offer you a non-surgical option that truly has the power to eliminate or significantly reduce your pain. Six to twelve brief treatments with this powerful laser is all it takes to realize life-changing results. For more information or to set an appointment, call The Villages® today!